Is my Excel 2013 32bit or 64-bit? 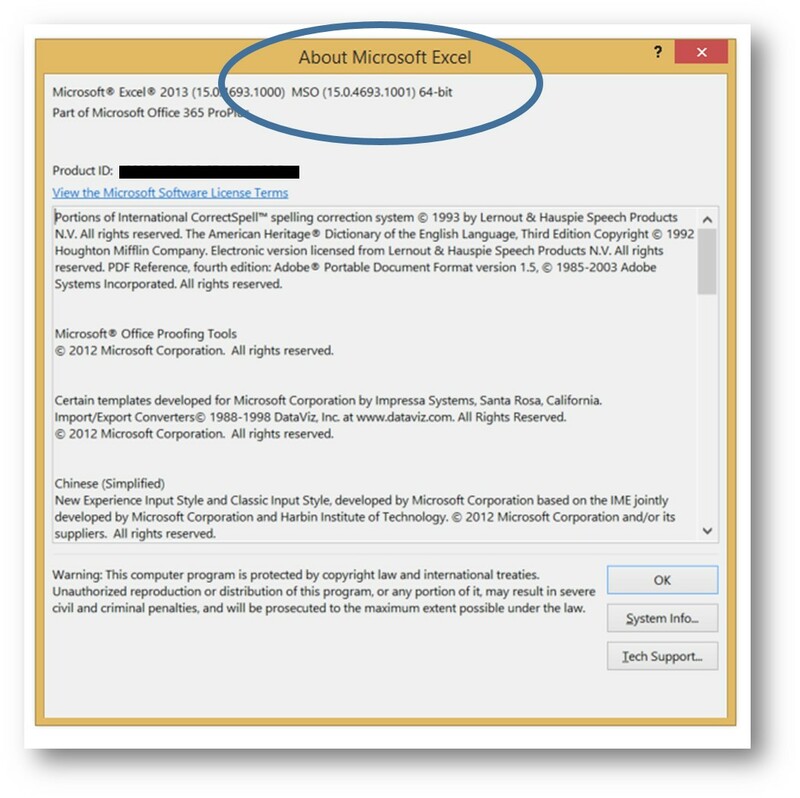 Blog: Quickblog: Is my Excel 2013 32bit or 64-bit? And there it shows, if you have 64bit, it will show exactly where marked. 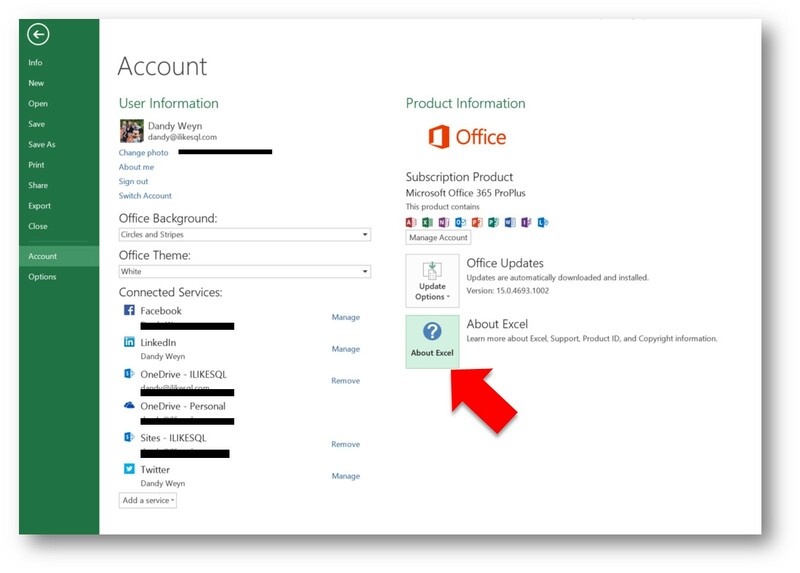 Now the tricky part is, you thought Office Pro Plus would automatically install in 64bit if you had a 64 bit OS right? Well it doesn’t, in order to get the 64bit version you need to click Advanced to download it specifically from the download URL or portal.office.com if you have an O365 subscription. The post Quickblog: Is my Excel 2013 32bit or 64-bit? #powerbi appeared first on ILIKESQL.